How to do IELTS matching paragraph questions in reading. Learn useful tips and practise matching information to paragraphs for IELTS reading. This is quite an easy practice exercise for matching and is easier that. A) Pangolins, often called “scaly anteaters,” are covered in tough, overlapping scales. These burrowing mammals eat ants and termites using an extraordinarily long, sticky tongue, and are able to quickly roll themselves up into a tight ball when threatened. Eight different pangolin species can be found across Asia and sub-Saharan Africa. Poaching for illegal wildlife trade and habitat loss have made these incredible creatures one of the most endangered groups of mammals in the world. B) Pangolin species vary in size from about 1.6kg (~3.5 lbs) to a maximum of about 33kg (~73 lbs). They vary in color from light to yellowish brown through olive to dark brown. Protective, overlapping scales cover most of their bodies. These scales are made from keratin — the same protein that forms human hair and finger nails. Overlapping like artichoke leaves, the scales grow throughout the life of a pangolin just like hair; scale edges are constantly filed down as pangolins dig burrows and tunnel through the soil in search of termites and ants. Pangolin undersides do not have scales, and are covered with sparse fur. Unlike African pangolins, Asian pangolins also have thick bristles that emerge from between their scales. With small conical heads and jaws lacking teeth, pangolins have amazingly long, muscular, and sticky tongues that are perfect for reaching and lapping up ants and termites in deep cavities. Pangolins have poor vision, so they locate termite and ant nests with their strong sense of smell. C) There are eight pangolin species. All pangolins belong to the genus Manis in the family Manidae, which is the only family within the order Pholidota. Pangolins’ closest living relatives are the Xenarthrans – anteaters, armadillos, and sloths. D) Pangolins are found in a variety of habitats including tropical and flooded forests, thick brush, cleared and cultivated areas, and savannah grassland; in general they occur where large numbers of ants and termites are found. Asian pangolins in particular are threatened by loss of habitat due to expanding agriculture and other human uses. Pangolins dig deep burrows for sleeping and nesting that contain circular chambers. Large chambers have been discovered in terrestrial pangolin burrows that were big enough for a human to crawl inside and stand up. Some pangolin species such as the Malayan pangolin also sleep in the hollows and forks of trees and logs. E) These solitary mammals are nocturnal and highly secretive, thus it is difficult for scientists to study them in the wild, and many mysteries remain about their habits. Some pangolin species such as the Chinese pangolin sleep in underground burrows during the day, and others including African tree pangolins and Malayan pangolins are known to sleep in trees. They emerge in the evening to forage for insects. Pangolins are well adapted for digging: they dig burrows with their strong front legs and claws, using their tails and rear legs for support and balance. Tunneling underground, they excavate the sides and roofs of passages by pushing up and from side to side with their tough scaled bodies. They use their front and hind feet to back accumulated soil toward the burrow entrance, and vigorously kick dirt out of the entrance up to a meter or more. Pangolin scales provide good defense against predators. When threatened, pangolins can quickly curl into a ball, protecting their defenseless undersides. They also deter predators by hissing and puffing, and lashing their sharp edged tails. F) Pangolins live predominantly on a diet of ants and termites, which they may supplement with various other invertebrates including bee larvae, flies, worms, earthworms, and crickets. This specialist diet makes them extremely difficult to maintain in captivity—they often reject unfamiliar insect species or become ill when fed foreign food. Wild pangolins locate insect nests using a well developed sense of smell. Voraciously digging ants and termites from mounds, stumps, and fallen logs with their claws, they use their extremely long sticky tongues to capture and eat them. G) Pangolins are hunted for food, for use in traditional medicine and as fashion accessories, and for a rampant illegal international trade in scales, skins, and meat. There is high demand for nearly all of their body parts, principally from China. The large-scale illegal trade in Asian pangolins is drastically driving down their numbers throughout Southeast Asia. Rapid loss and deterioration of available habitat places added pressure on the dwindling numbers of remaining pangolins. 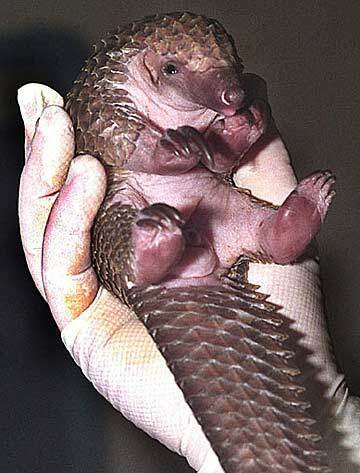 viii) What is a pangolin? See the reading page below for more matching headings practice and more IELTS reading practice. Practise IELTS reading matching headings by understanding how paraphrasing will help you find the right answer. You will see there are two paragraphs but 6 possible headings. Read the headings first and then read the article to decide which heading is the right one for each paragraph. Don’t forget this is a practice lesson. In the real test, the passage will be much longer 🙂 But try to use your skills and techniques in this lesson. Your answer must be a numeral (for example, i or v1) not words. Choose the correct heading for paragraphs A & B from the list of headings below. A. A greenhouse is a house made of glass. It has glass walls and a glass roof. People grow tomatoes and flowers and other plants in them. A greenhouse stays warm inside, even during winter. Sunlight shines in and warms the plants and air inside. But the heat is trapped by the glass and cannot escape. So during the daylight hours, it gets warmer and warmer inside a greenhouse, and stays quite warm at night too. B. Earth’s atmosphere does the same thing as the greenhouse. Gases in the atmosphere such as carbon dioxide do what the roof of a greenhouse does. During the day, the Sun shines through the atmosphere. Earth’s surface warms up in the sunlight. At night, Earth’s surface cools, releasing the heat back into the air. But some of the heat is trapped by the greenhouse gases in the atmosphere. That is what keeps our Earth a warm and comfortable 59 degrees Fahrenheit, on average. Explanation: The passage is about the greenhouse effect so the first paragraph explains the meaning of the word greenhouse. This is shown in the topic sentence and explained in the following sentences. The first paragraph does give information about plants in a greenhouse (iv) but this is only an example of how a greenhouse is used and not the aim of the paragraph. Explanation: The second paragraph explains that earth functions the same way as a greenhouse due to gases in the atmosphere. This is shown in the topic sentence. There is information about the temperatures on earth (i) but only to explain the greenhouse effect. Also there is information about earth’s atmosphere (v) but only as it relates to the greenhouse effect. The above article was taken from wiki.